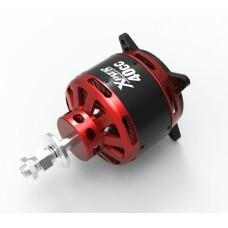 Xpwr 40cc- This motor is for the EF 78" Extra and 83" MXS as well as the new 3DHS 79" Slick. 12S Lipo operation and 120 Amp HV speed controller minimum. 40CC notes: Our testing carried out on Castle firmware V4.22, expect 90 amps on fresh 12S lipo packs using largest prop, for approximately 4,100 watts.